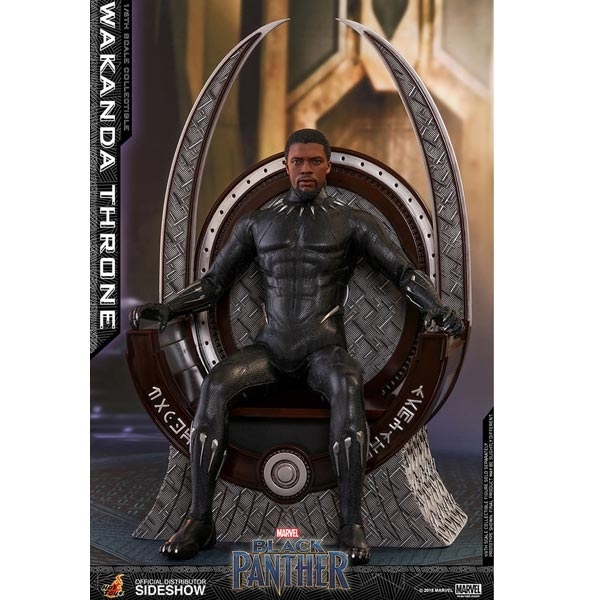 Black Panther is stunning in reimagining Africa’s aesthetic and cultural aspects in a cinematic experience, and fans were deeply amazed by the awe-inspiring landscapes and gorgeous infrastructure of Wakanda including the Throne Room. 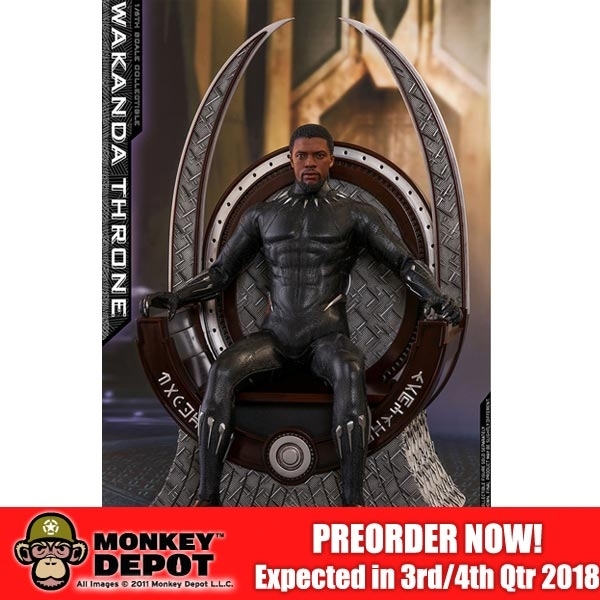 Sideshow and Hot Toys are thrilled to expand on the Black Panther Collection series with the one-of-a kind Wakanda Throne reserved for the young King of this futuristic African Nation. 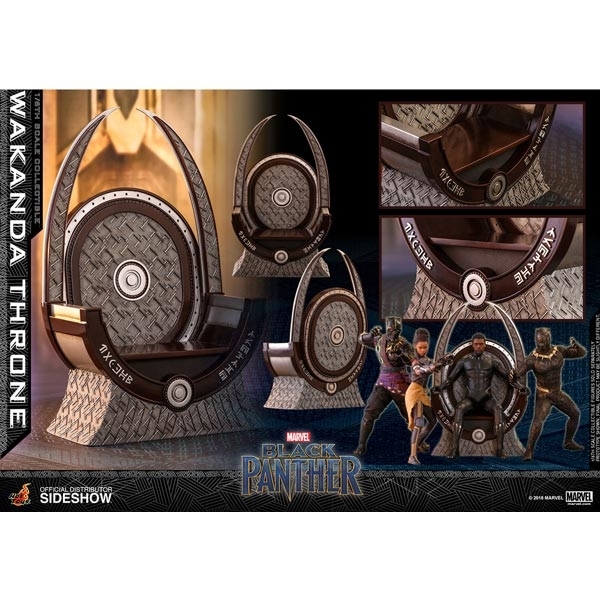 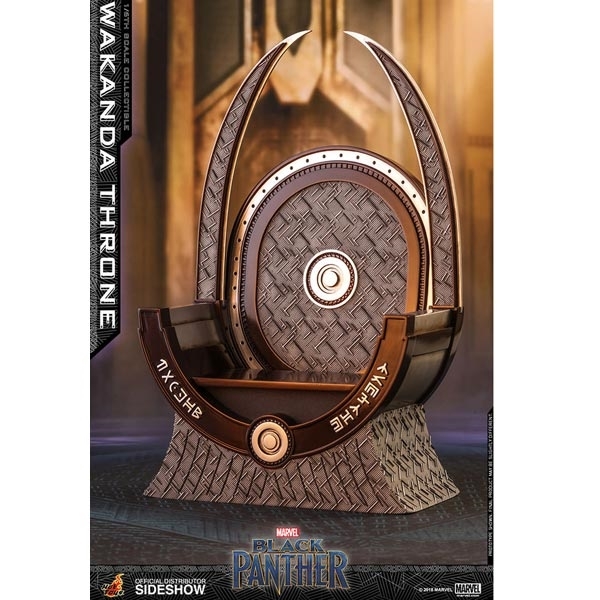 Perfectly crafted with authentic and fantastic details, the movie-accurate sixth scale Wakanda Throne collectible stands approximately 32.5cm in height, 19 cm in width features an extra-high back peacock chair that beautifully combined with woven rattan ends, decorated with Wakanda’s unique graphical script, and finished with metallic painting and natural wood grain texture intricately.